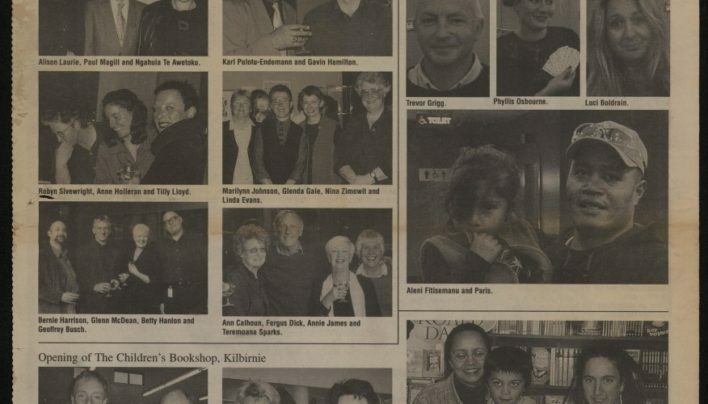 Capital Times reports on the launch of Other Animals by Therese Lloyd (Victoria University Press). 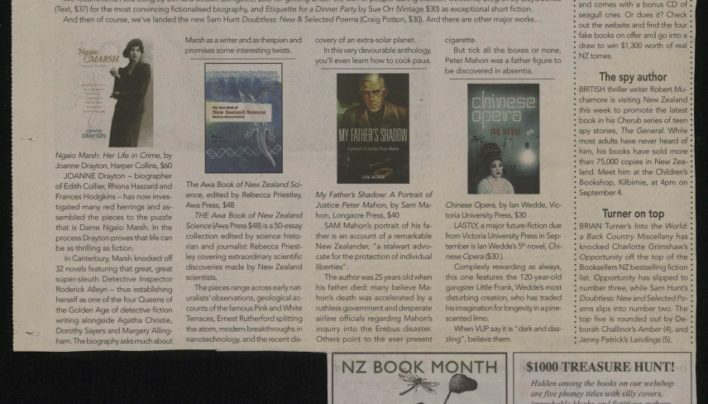 Capital Times reports on the launch of I Got His Blood on Me by Lawrence Patchett (Victoria University Press). 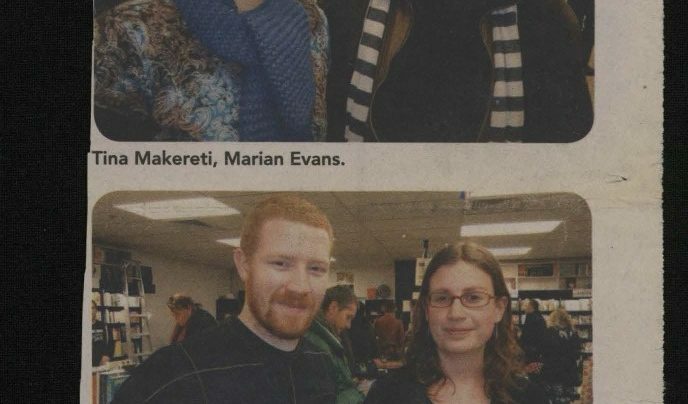 An advertisement in the Capital Times to let people know about possible disruption during our 2011 expansion and renovation. 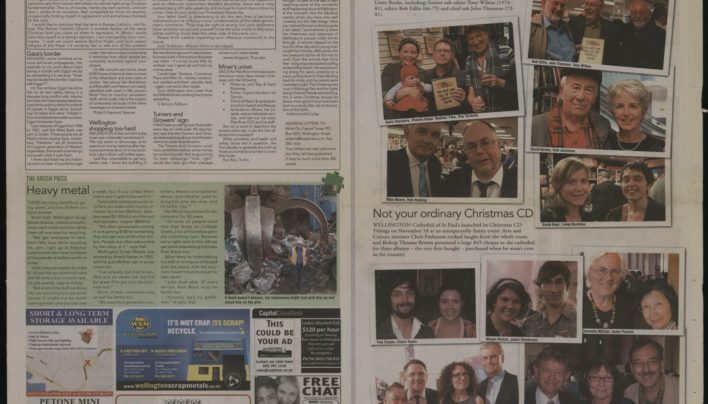 Capital Times reports on the launch of Truth: The Rise & Fall of the People’s Paper by Redmer Yska (Potton & Burton). 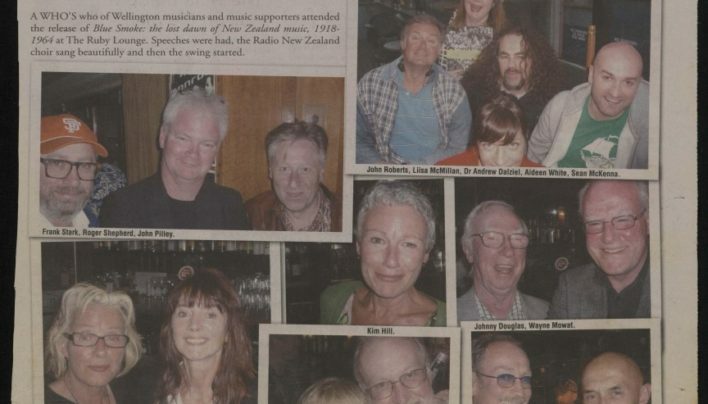 Photographs from the launch of Blue Smoke: The Lost Dawn of New Zealand Music, 1918-1964 by Chris Bourke (Auckland University Press) as they appear in Capital Times. 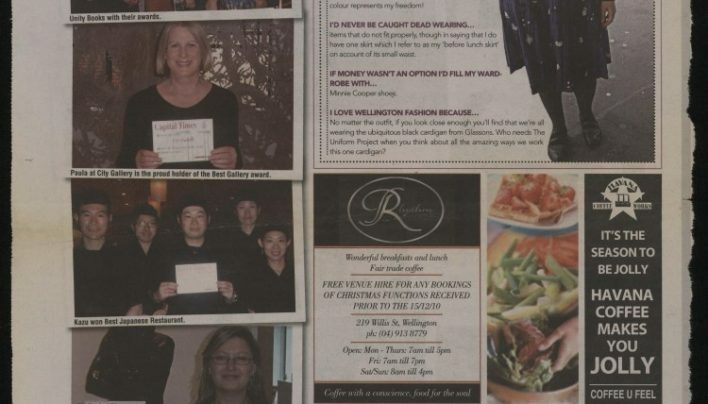 Capital Times winners of the “Best Of Wellington” awards pose with their certificates – including the Unity Books team with several years worth of “Best Bookshop” awards. 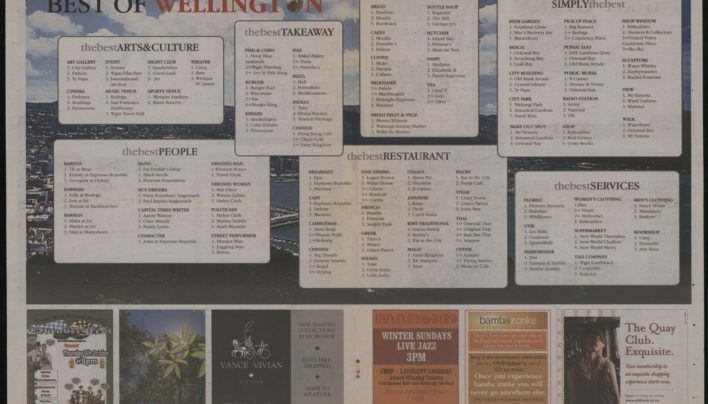 Tilly Lloyd picks four new New Zealand books for people to embrace during NZ Book Month. 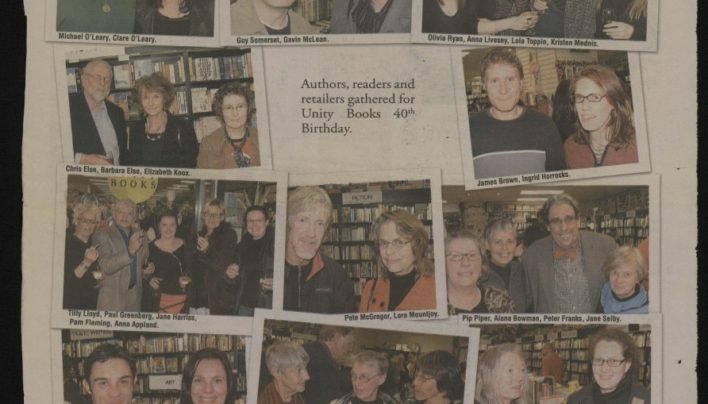 A selection of photographs from Unity Books’ 40th Birthday party, as they appeared in the Capital Times. 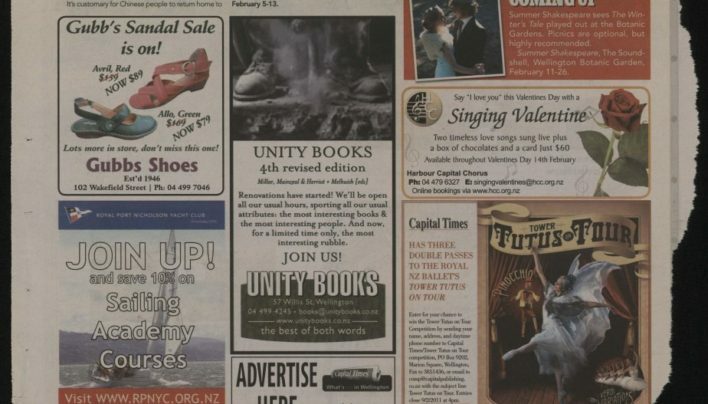 In the Capital Times “Best of Wellington” awards 2006 we were named “Best Bookshop” and also voted 3rd in “Best Shop”. 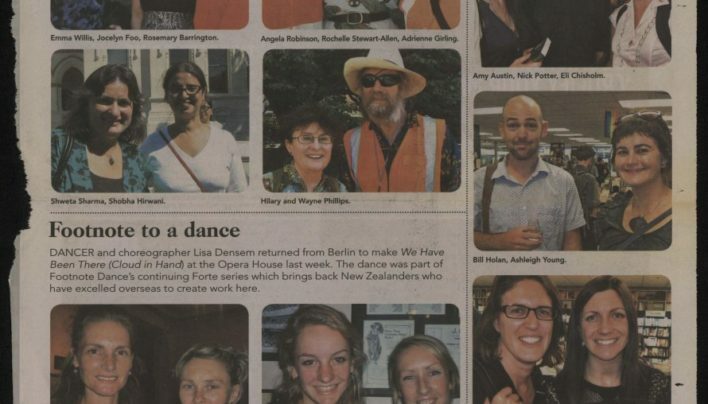 Capital Times captures various Unity people at literary events all around Wellington.